Phaidon’s new book Design for Children explores products, toys, furniture, bikes and more created for babies, toddlers and children over the last 100 years. We speak to author Kimberlie Birks, a New-York based design writer and editor, about what makes a great toy, how designers from history have been inspired by their own children, and why products aimed at kids need to spark their imagination. Design Week: Why did you decide to write this book? Kimberlie Birks: As part of my graduate degree in design criticism at the School of Visual Arts (SVA) in New York, I wrote a thesis on playground design and became very interested in how these environments influence a child’s development, creativity and sense of agency. The book felt like a natural progression of that work. While design for children has historically been under-recognised, it is a field with profound influence and implications on how we are shaping future generations, and so the world. We all have children in our lives who are important to us and my hope is that this book will make readers think more critically about objects’ power to shape both environments and minds. DW: What time span does it cover, and how is it ordered? Is it chronological? 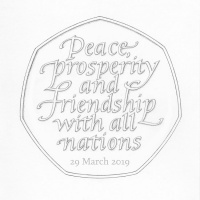 KB: Save a couple of noteworthy exceptions, the book spans from 1900 to the present and is organised around the themes of play, ride, learn, eat, create, sit and sleep — each of which is denoted by its own symbol — to provide a broad sense of the world of children’s design. While the objects are indexed by category, designer and product type, each is paired visually with another on a double-page spread to make the viewing experience dynamic and delightful. Cavalcade, 2015, by Luca Boscardin, Studio Bluc. © Studio Bluc. DW: What do you think are some of the most important designs for children from the last 100 years? KB: Children’s objects are often a signal of the times, reflecting both the evolution of the design industry and shifts in public perception. Charles and Ray Eames’ Child’s Chair (1944) demonstrates this as it pre-dated the couple’s iconic adult lounge chairs by serving as their first attempt to fabricate three-dimensional (3D) plywood furniture in larger quantities. 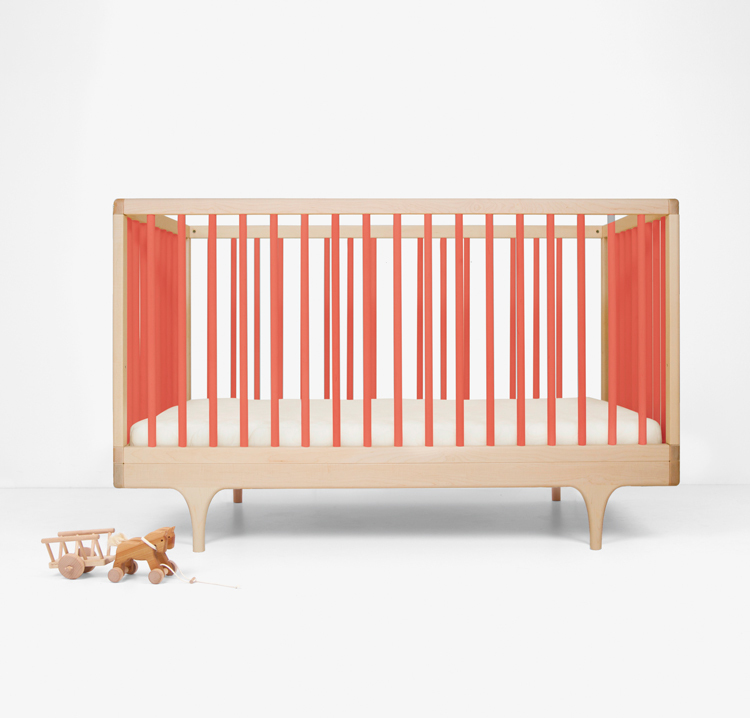 Peter Opsvik’s Tripp Trapp is a timeless piece of Scandinavian design that has been a favourite of parents since 1972. The chair’s genius lies in its adaptability; the seat and footrest height can be adjusted into fourteen positions, allowing children of all ages to sit at the table in comfort while enabling older children to get in and out themselves, with the help of the adaptable footrest. Golan Levin’s Free Universal Construction Kit (not to be abbreviated in the company of children!) 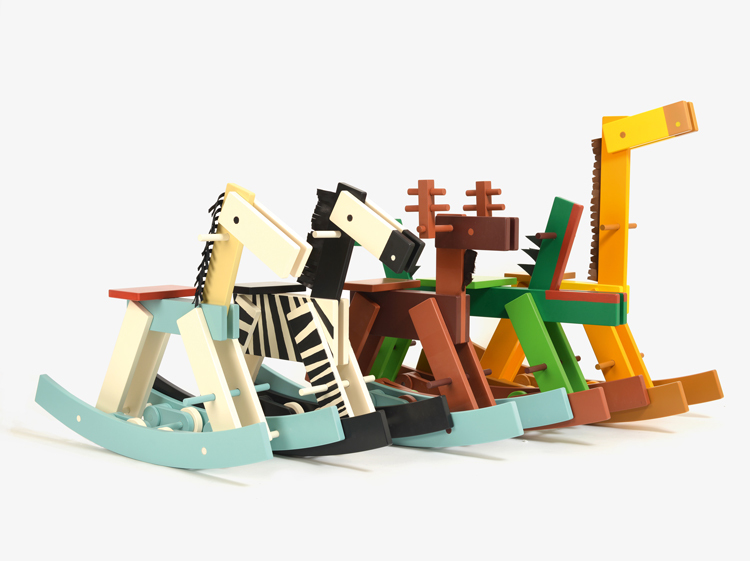 uses open-source and 3D printing technology to create a set of nearly 80 connectors and adaptors that allow enterprising kids to join pieces from construction toys as diverse as LEGO, Tinkertoys, Bristle Blocks and Lincoln Logs. Released in 2012, Golan’s ‘meta-mashup system’ creatively employs modern technology to circumvent the significant intellectual property restrictions of each toy set to encourage radically constructive play. DW: What things should designers consider when creating products for young people, rather than adults? 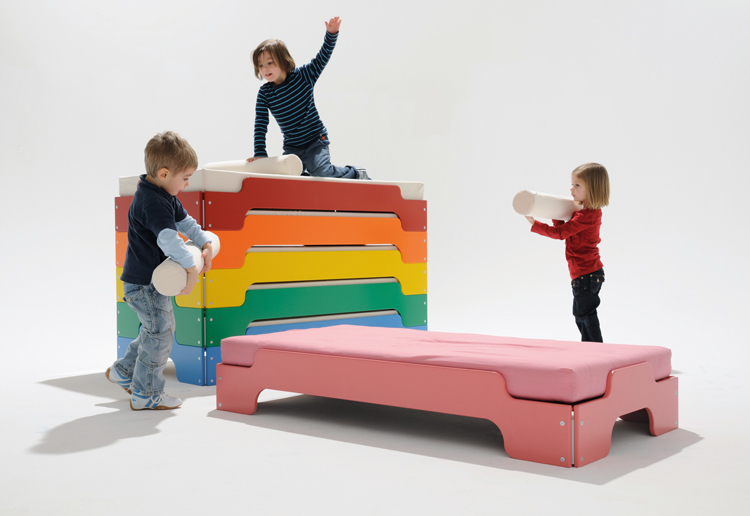 Durability, cleanability and safety are essential, but good design for children should also invite an imagination. Objects that are open-ended and not entirely prescriptive as to how they can or should be used invite kids to engage with them, exercising their brains and bodies in a variety of ways. 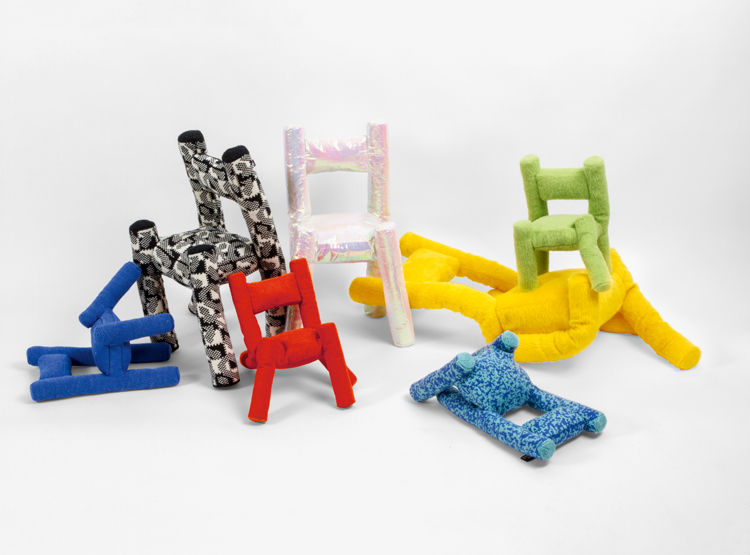 Stuffed Chairs, 2015, by Katie Stout, self-produced. © Clemens Kois. DW: Are there different considerations for very young children (under five-years-old), children aged up to 12, and teenagers? KB: For children under five, comfort is paramount. The more secure a young child is, the more willing they are to explore the world. As children age, their objects should become more open-ended and adaptable, inviting them to imagine their own stories and invent their own ways to explore, learn and create. DW: What are the differences between designing for children and for adults? KB: Good design for children is adaptable to a variety of uses and encourages kids to create their own worlds. Rather than simply scaled-down adult designs, exceptional children’s objects respond to their specific needs. This is why noteworthy creations often come from designers who are themselves parents. 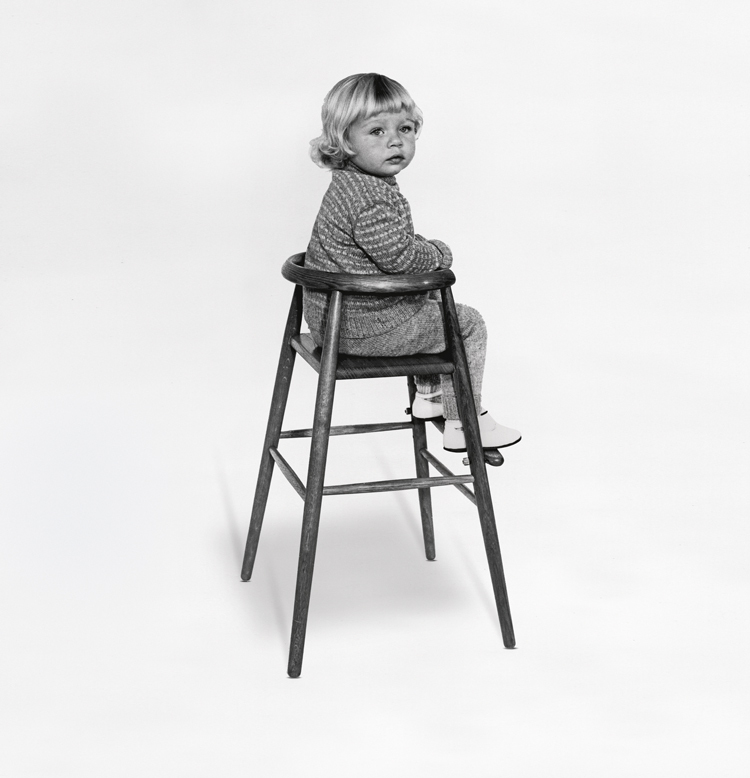 Like many objects in the book, the Trissen Stool (1962) grew out of Nanna Ditzel’s observations of her own children. Inspired by their desire to be in constant motion, Ditzel designed a robust yet elegant stool that could be easily rolled, stacked, and used as a table or seat. 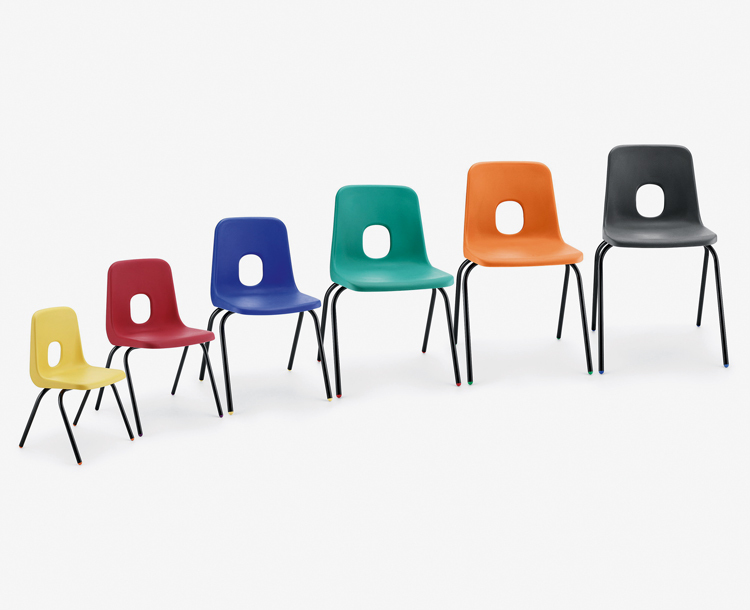 Series E Classroom Chair, 1971, by Robin Day, Hille. © Hille. DW: What do you hope people will take away from this book? Is it intended for designers, or a general audience? Design for Children is intended for anyone interested in design. I hope that whether you are a parent, a design-lover or a designer, you will find something wonderful and unexpected in these pages; be it the perfect crib or the discovery that people like Jean Prouvé, Marcel Breuer, Kengo Kuma, Marcel Wanders, Marc Newson and Philippe Starck have all tried their hand at designing for the youngest among us. 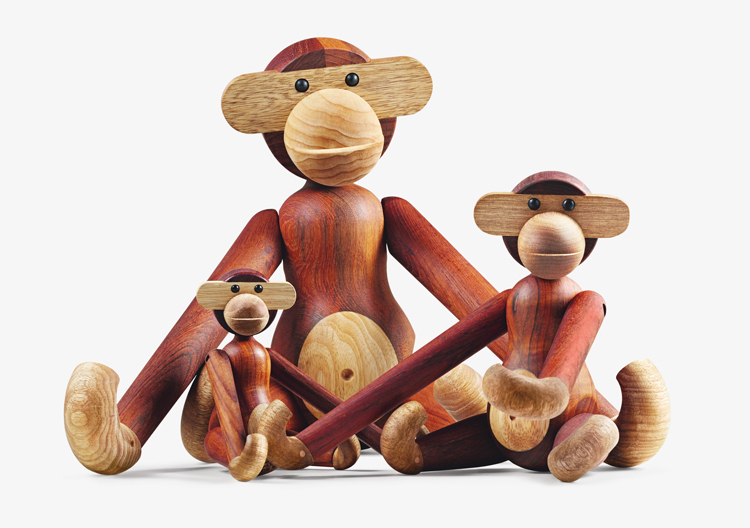 Following on philosopher Alain de Botton’s claim that “all designed objects are propaganda for a way of life”, Design for Children aspires to make us more thoughtful about how our children are shaped by the things with which we surround them, and more appreciative of those designers who provide us ways to do so with particular thought and care. 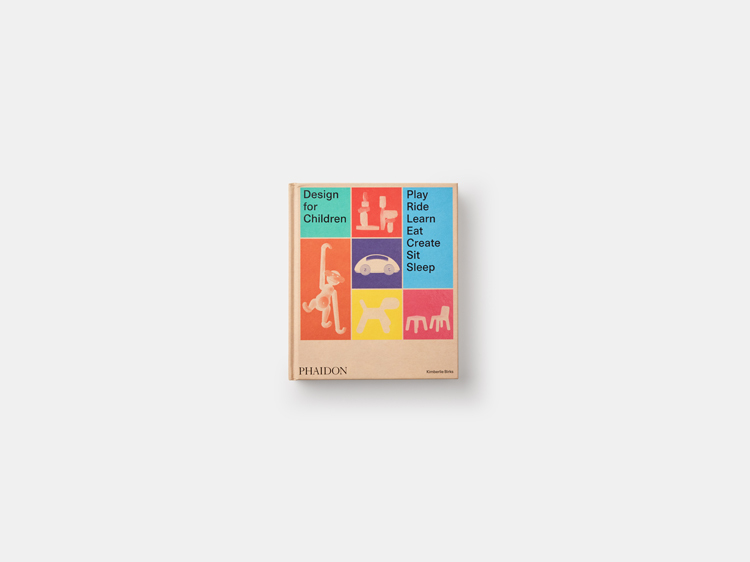 Design for Children, by Kimberlie Birks, is available to buy for £39.95 through Phaidon online now. 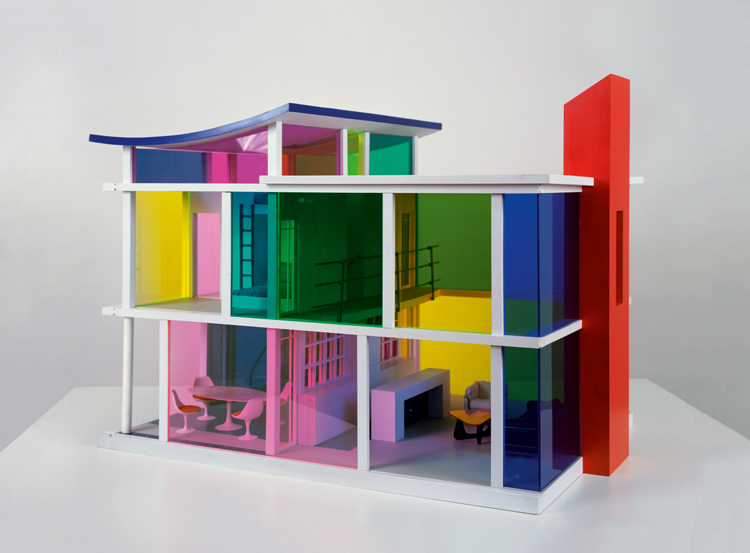 Kaleidoscope House, 2001, by Laurie Simmons and Peter Wheelwright, Bozart Toys. © Laurie Simmons. 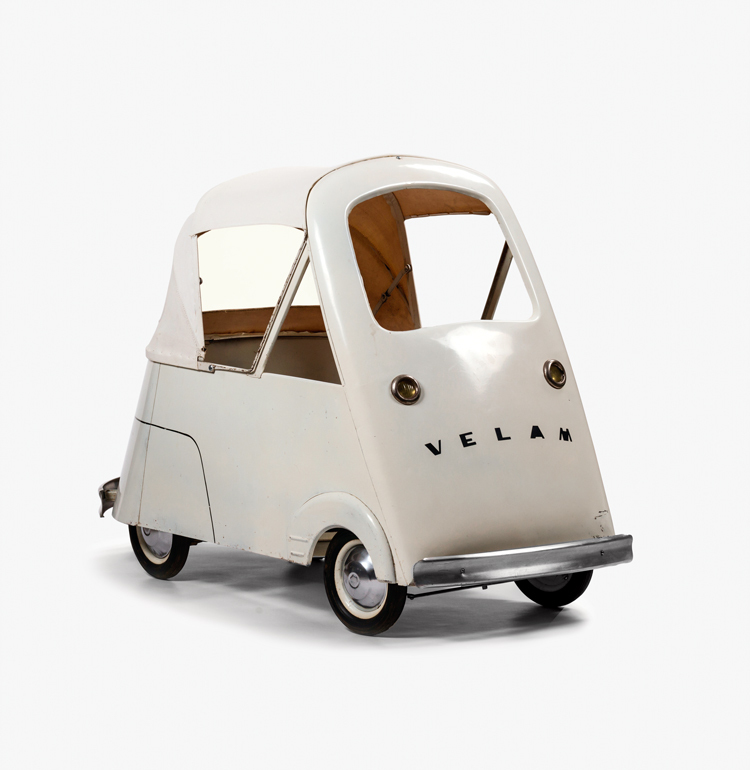 Isetta Pedal Car, 1957, Velam. © Voiture A Pedales. 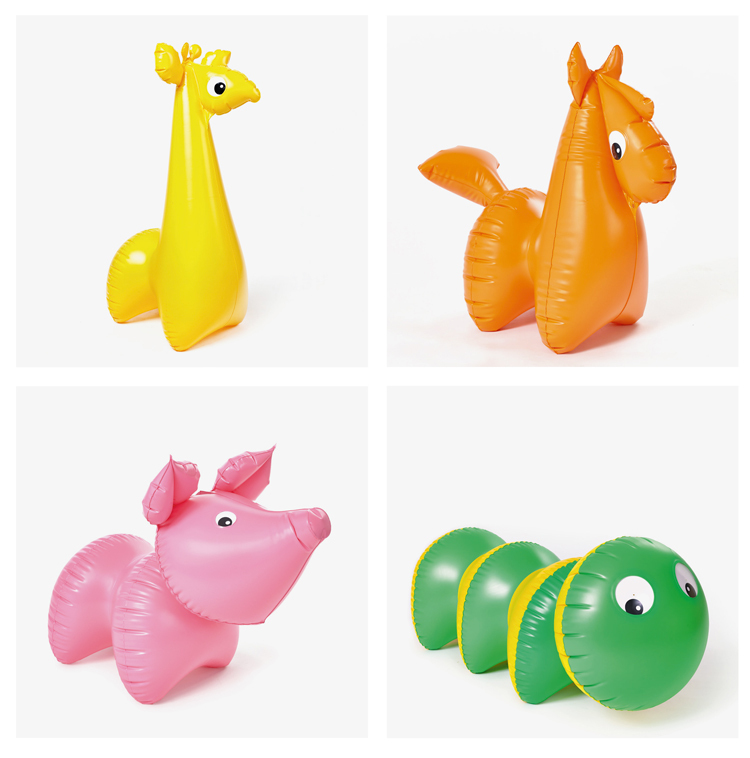 Inflatable Animals, 1969, by Libuse Niklova, Fatra, currently Maammo. © Fatra. 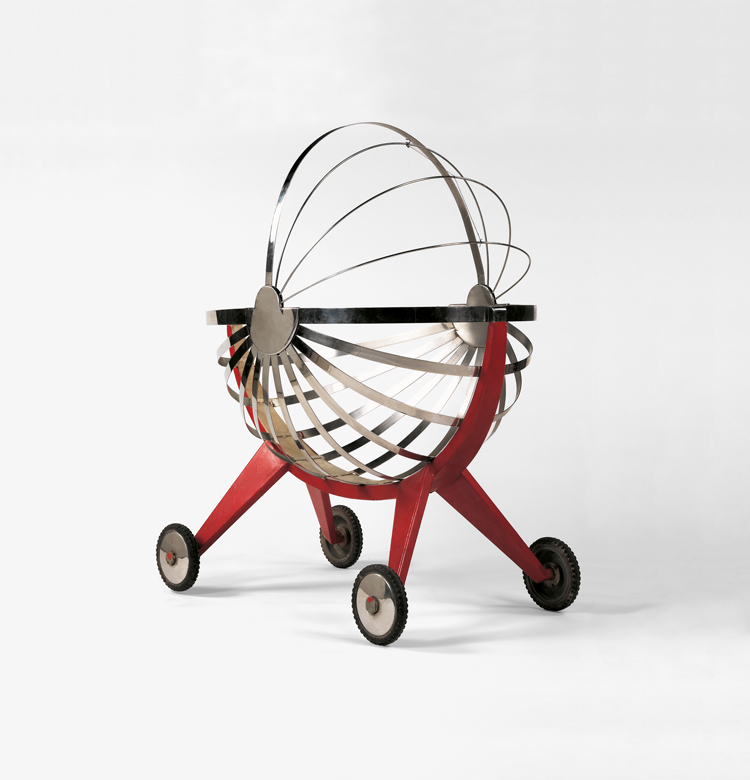 Cradle, 1926, Jean Prouve, private commission. © Tajan. Monkey, 1951, by Kay Bojesen, Denmark. © Kay Bojesen Denmark. 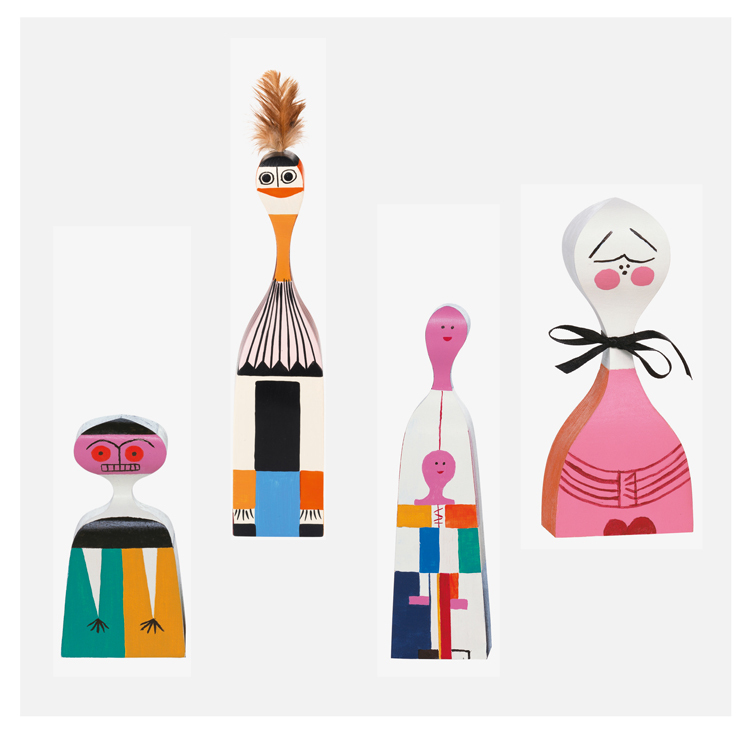 Wooden Dolls, 1963, by Alexander Girard, Vitra. 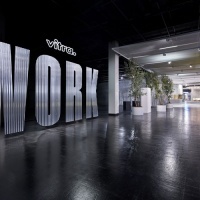 © Vitra. Children’s High Chair, 1955, by Nanna Ditzel and Jorgen Ditzel, Kolds Savvaerk, currently Kitani. © Nanna Ditzel Design. Stacking Bed, 1966, by Rolf Heide, Muller Mobelwerkstatten. © Muller Mobelwerkstatten. Caravan Crib, 2010, by Johannes Pauwen and Michaele Simmering, Kalon Studios. © Kalon Studios / Michaele Simmering. 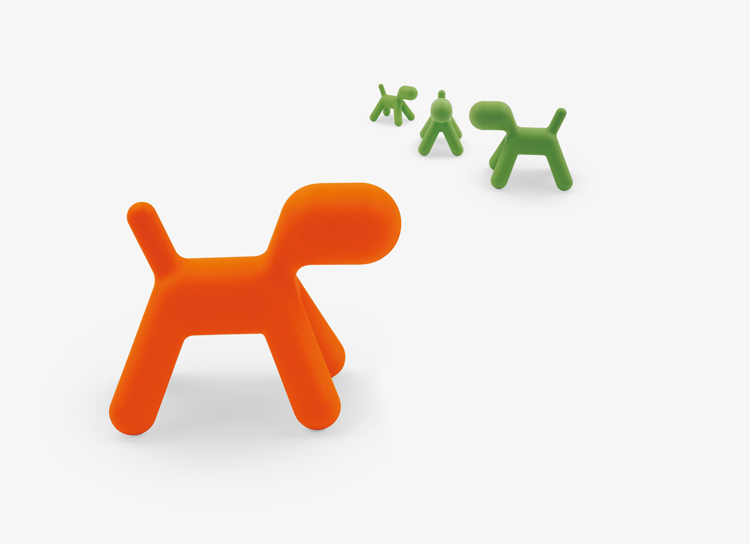 Puppy, 2005, by Eero Aarnio, Magis. © Magis.